Emily Ebersol is the bishop's daughter, and everyone-including Emily-assumes that she'll marry a faithful Amish man and live out her days within the community. But her childhood sweetheart, Luke Lambright, fell in love with racing cars during his rumspringa and decided to leave Wells Landing. 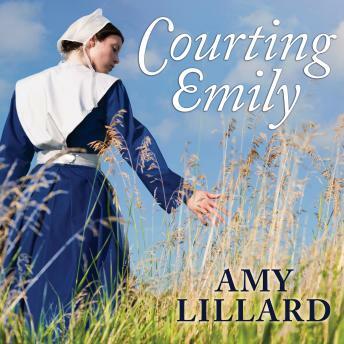 Emily prays for his return, but as the months go by, she begins spending time with another young man-a man who may not be as exciting as Luke, but perhaps he's exactly what she needs. Elam Rhiel knows that Emily has always been in love with Luke, but he is certain that he could be the loyal, steady husband Emily deserves. Then, just as Emily begins to fall for him, Luke returns and complicates her feelings. Now, they all must learn that the greatest love requires the greatest sacrifice.